“It is deliberately extensive process because we believe there couldn’t be a more important question that faces the South Australian community,” he said. Invitations will be sent this week to 25,000 people seeking an expression of interest in the juries. One jury will include 50 people to identify questions to be considered during the debate and another 350 people will be asked to evaluate feedback after state-wide consultation. 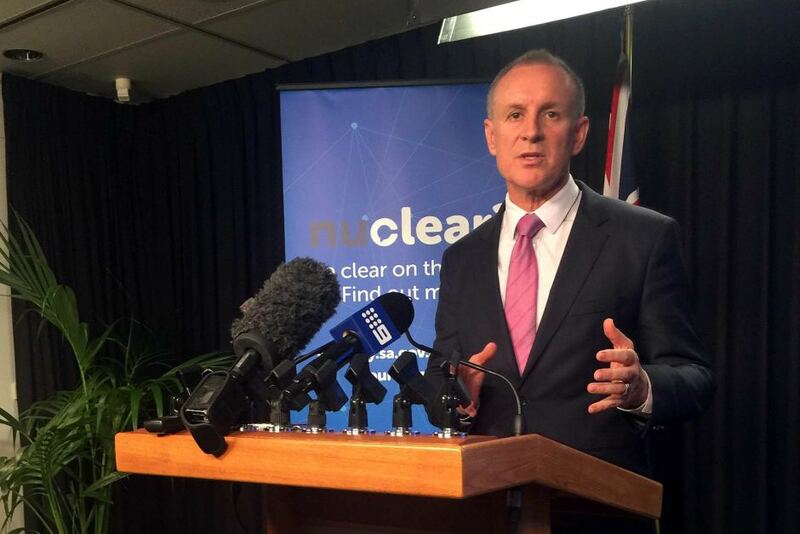 Mr Weatherill announced the “Nu-Clear” campaign to promote discussion and said an independent advisory board would soon be appointed to guide the consultation process, with a new government agency set up to facilitate the discussion. He said there was a need to have bipartisan support for whatever decision the Government made. “This is going nowhere if it is going to be the subject of political controversy because no serious investor will cooperate with us,” Mr Weatherill said. I seem to remember the Japanese government undertook a similar exercise in the wake of the Fukushima accident (and then promptly reversed the jury verdict). Keith, thats a comment from a bewildered press rather than a comment based on exploring the evidence… a little more public opinion rather than public judgment. newDemocracy have done the design on this. We know the decision is genuinely “in play” for the jury. The nuclear fuel cycle conversation is a perfect issue for highlighting the limitations of traditional democracy and the productive complementary role for everyday people. We’ll have a page up on it in a day or two with the full design. Take a look then and I think you’ll see that the jury’s view is central. Weatherill seems to consider the jury not so much as a decision making body as a tool in the elected government’s policy-making toolbox. Yes that’s right, and pragmatists might well argue that this is the best incremental way forward, given the need for public support on controversial projects. But the community (as operationalised via the citizens juries) might well decide that they don’t want a nuclear dump, in which case (presumably) the project would be abandoned as it would undermine investor confidence.